The annual year was originally only divided into three seasons: beginning, middle and end. A year in Babylonia was separated into a cycle of 12 periods of 30 degrees or days. These periods, equated to the ‘moon’, were called ‘moonths’ or more appropriately ‘months’. Of course, the sky-wise priests were aware of the actual appearance of 13 lunar cycles in a year, so an additional shortened month was acknowledged to make the cycle fit. In most cases, a ‘new moon’ meant a ‘new month’ and so the days counted in a month are the days counted in the progression of a moon – though naturally the disparities between lunar and solar time had to be accounted for, and with time the ‘Chaldeans’ had perfected it. The annual cycle was marked distinctly by two primary religious festivals – the spring festival of Akitu and the winter festival of Zagmuk. Both appear to be represented or distinguished by the symbol of ‘divine marriage’, later meaning the relationship between the ruling king and his lands. Originally, however, the more popular fertility interpretation of these festivals, particularly in the spring, were based on land renewal and with the development and spread of these tradition, Akitu became known as Ostara – the pagan Easter – in dedication to Ishtar (Inanna). Not too surprisingly, the pre-Christian account incorporated into the symbolism of the later Judeo-based traditions also includes the proverbial theme of resurrection – in our case: the infamous story of Ishtar’s ‘descent‘ into the ‘Underworld’, where she is perceived of as ‘dead’ for three days. Given the way modern calendars are oriented, the start of each ancient month would be considered near the ‘middle’ of current months – much like the seasonal observations. Although the festivals in ancient times were oriented to the naturally occurring solstices and equinoxes, it was often customary to observe them ceremonially during the closest full moon. All of this gave way to a generally ‘fluid’ incorporation of time into society that is varied in its interpretations among modern scholars. The ancients made use of ‘water-clocks’ at night and ‘sun-clocks’ during the day. But more important to the survival of an agricultural society then gauging the minutes of a day for a ‘time-punch’ was the tracking of the annual cycle for planting and harvesting. Quite different than what the remainder of the Western World has familiarity with, the seasonal cycles in the deserts of Babylonia are unique. We have a recognizable summer in June, July and August where there is not rain and nothing grows – as we might expect – but then the region is plunged right into its rainy season in September, and farmers must be ready to plant their barley by October with a harvest necessary before the summer sun returns. A different system of observation was used to calculate and measure ‘divine time’ in relation to ‘earth time’. This gave rise to what contemporaries call an ‘age’ – such as the current ‘age’ of Pisces and the forthcoming ‘age’ of Aquarius. Apart from the garbled nonsense of today’s horoscopes, the observation of zodiacal ages and alignments during the year are very real events. For whatever credibility the modern mind might wish to give the ancient astrologie omen tablets, the ability to perfectly chart time over long periods by using verifiable astronomical events, that we can even rely on today as investigators into this ancient culture, is quite impressive by any standards. We can establish the chronological procession of the ages, but not necessarily a definition of when they have absolute turning points. They are measured in 2,160 year periods (72 x 30), connected to their ‘domain’ of visibility in the ‘Celestial Sphere’. The progression is visible in the stars but the clear boundary line that defines each is in many ways obscure. For example, when specifically does the current age enter ‘Aquarius’? Counting backward, the Mardukite school of thought might have suggestive input to apply. Following earlier thwarted attempts to solidify global rulership, the real Babylonian Reformation by the Anunnaki god MARDUK, with the aid of Nabu, occurred as a result of the ‘Age of Aries’ having arrived and ‘promised power’ not being ‘passed’ to him. This would have to be circa 2150 B.C., when the movement became notably public. Time, as we have found no different today then yesterday, is indeed entirely relative! The Babylonian observation of the annual (solar) year starts with the ‘Mardukite’ observation of ‘zagmuk’ – meaning ‘the beginning of the year’ or ‘new year’. This 12-day festival is fixed to arrange its height at the beginning of the month of Nissanu, the ‘Spring Equinox’ or March 21st, also coinciding with the beginning of the astrological wheel, when the sun enters Aries. The ZAGMUK festival is significant for its contributions toward solidifying both the religious and political paradigms of Mardukite Babylon. The festival is also known by its Sumerian-derived Akkadian name – A.KI.TI (or A.KI.TU) – meaning ‘On Earth, Life.‘ This large public festival observance is a reconfirmation of the supremacy of MARDUK and the Babylonian Pantheon and is the single most important ancient ‘holiday’ for the tradition. Although the materials have been put forth prior in the Mardukite cycle, this ceremonial edition of The Book of Zagmuk (compiled from these other sources) is provided for the benefit of the modern movement and for posterity – specifically the preservation of this tradition; which is paramount to the continued efforts of the Mardukite Chamberlains (Mardukite Research Organization). Most scholars recognize only ‘agricultural’ and not necessarily the ‘political’ and ‘mystical’ purpose of the observation, which begins twelve days before crops begin to be planted, apparently the fourth day of the month named Nissanu. Others suggest that the month itself began with the festival, or that the observation was astronomical, matching the exact time the sun enters Aries, which would differ from year to year given precession. Traditional astrology does not take this into account and is plotted based on the ‘snapshot’ taken of the heavens during the Age of Aries. 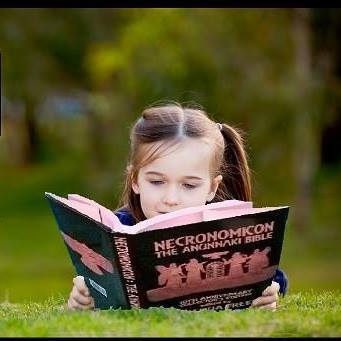 The Book of Zagmuk by Nabu is a specially prepared ceremonial text and selected ‘tablet collections’ that combine materials from the 2011 handbook “Mardukite Wizards of the Wastelands” in conjunction with critical excerpts from Joshua Free’s ‘Necronomicon Anunnaki Bible‘ and essentially comprising the internal methods of the ‘Order of Nabu-Tutu’ to establish Mardukite ‘religious‘ continuity and the royal legitimacy of MARDUK at the apex of the Babylonian Pantheon using the Babylonian New Year Festival, Akitu (Akiti) or Zagmuk, reviving the same process used by ancient priests of the Sumerian Anunnaki in Mesopotamia! even the experience of life and reality will be undertaken ‘out of context’ of what is Truth. Sumerian Religion II — what we are now calling Liber 52 in keeping with tradition — builds upon the same basic framework outlined in Liber 51, but now with more sprinkles! often as a result. This has not happened with Liber 51 and given the very serious importance of this part of the ‘Core’ (as described about possessing a strong and coherent basis for understanding subjects related to the Anunnaki), it is not an effort that has been taken lightly by any means. already had access to the original materials of Liber 50 in Sumerian Religion, whether it be the latest second edition or one of the earlier ones. Although it is not dependent on the first volume to be understood as a logical piece of literature, the two books are obviously designed to companion one another, something that will be done intentionally in a single anthology volume titled: The Anunnaki by Joshua Free. 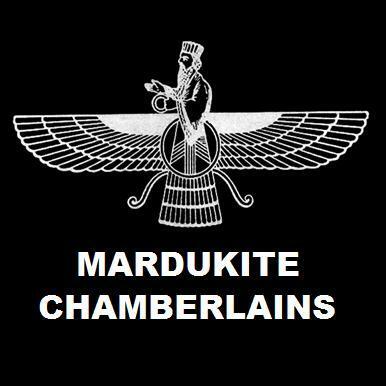 Whether you are an alumni returning for the latest edition of an underground classic or perhaps this is your first introduction to ‘Mardukite’ literature, Sumerian Religion II is sure to carry you on a ride to a space and time that is common ground to all who are alive today and with a legacy and mystery that is connected to a very important key – one known to the wisest of souls throughout history and one which will prove to be just as relevant today in the 21st Century A.D. as it was in the 21st century B.C., when the Age of Aries arrived and the world bore witness to the dawn of the ‘Mardukite Babylonians’ and the future destiny of humanity as a whole!